My wife has supported me through every running endeavor thus far, so it is only right that when she stated a few weeks ago that she had come upon an idea for her summer running goal that I support it. When she stated that she wanted to run every street in our city of Royal Oak, I was a bit surprised. I mean here is a woman that can get lost in her own city, but then again, when I thought about it, I began to see the sheer brilliance of the idea. First and foremost is that she is guaranteed to see new things on her runs. Let's be honest, most of us stick to our same routes on a daily basis. There is a certain level of comfort that comes to us as we see the same thing day after day, but by venturing out, she will see parts of our city she never new existed. Secondly, stating that you want to run every street in your city and then getting a map (cost $2) from the City Clerk's office to actually look at all the streets really highlights just how big our little city is. There is a sense of adventure already as she has begun to scout the map and plan out her run for the day. A bonus here for me, is that if she gets lost, I have a map of where she should approximately be. Third, it's a great motivator to get out the door every day. While it is not a "time" ( sub 60 min 10k) or "distance" (marathon), there is a start and end date for her. From Memorial Day to Labor Day, her goal is to simply cover each street in its entirety minimally once. Yes, she will have to drive to some locations and then get out and run, but the fun part about it is that she will be doing it all within the city limits. A bonus to all of this is that she might actually begin to understand what a Garmin is and what it can actually do. She was genuinely surprised when she learned that you can actually view on a map where you ran with your Garmin. And that my friends is what the true spirit of running is all about. Ran across this video done by a couple of grad students about this year's Philly 100. Enjoy! What is it about nature that makes us forget about the concrete jungle that we have left the moment we step foot on softer ground? Why does nature eventually strip us to the core and expose us nakedly to the elements and ourselves? 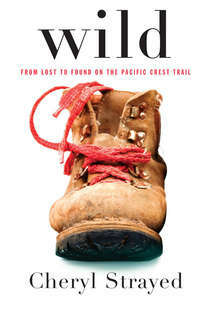 Cheryl Strayed explores these very questions in her most recent book, Wild: From Lost to Found On the Pacific Coast Trail. While most of us might take months or even years to build up to an event or adventure like hiking the Pacific Coast Trail (PCT), Cheryl decides to begin hiking it with out even so much as any overnight backpacking experience. Her "all in" approach at the beginning of the endeavor could best be described as a metaphor for her life up that point. Weighed down by "Monster", Cheryl traverses the PCT from the Mojave Desert to Washington State, where at first she is beaten down by the elements, trail, and by her own inexperience. In any adventure or in life for that matter, it is what you do when you are stripped to the core that will determine your success, and for Cheryl it is her brutal honesty in this memoir that you find she is not pulling any punches. She leaves no stone unturned as she vividly describes her experiences leading up to the hike on the PCT as well as on the trail itself. It is this bearing of all things, leaving oneself naked for exploration that ultimately allows her to be strengthened in a way that only an adventure like this can do. Believe the hype. 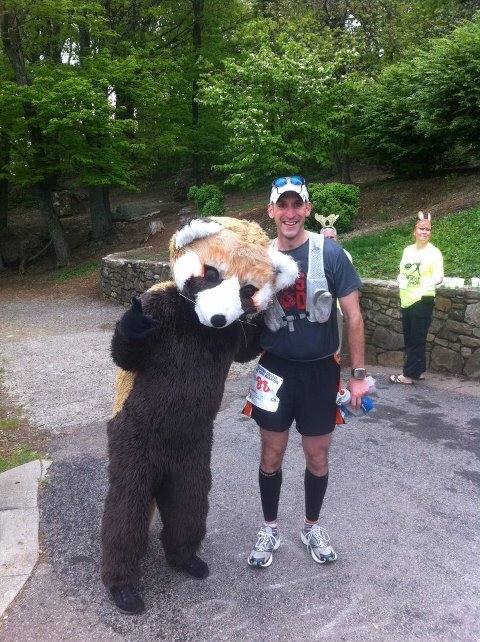 The Blue Ridge Marathon bills itself as "America's Toughest Road Marathon." With 7,234 feet of elevation change over the full marathon it is definitely not flat and I can say unequivocally that it is the hardest marathon I have run to date. My goal heading down there was to complete the Double Marathon, a distance of 52.4 miles. I managed to complete just over 39. While I had worked diligently at getting on the treadmill and doing hill specific workouts along with utilizing the 100 pushups and 200 situp apps to improve my overall core and strength, I neglected recovery and stretching. This neglect manifested itself in a case of plantar fasciitis in my right heel that while I tried to rest going into the race, was compounded running down the descents on the first marathon. Near the end of the first marathon, my heel felt like I was landing on nails and heading up the first climb of the second marathon, I made the decision to walk the 1/2 marathon. While I recorded my slowest 1/2 marathon on record at 3 hr 19 min, I thoroughly enjoyed myself. My fun button did get pushed and I made at the time what I thought was the best decision for me not to do further damage to my heel. What I can say is that the city of Roanoke has a first class event in the Blue Ridge Marathon. The city and people are really getting behind this event and it showed with the enthusiasm throughout the weekend. Besides the race, there was also a tent set up for local area bands and a bike criterium on Saturday night.Don't go to the Blue Ridge Marathon looking to set a PR, go run the Blue Ridge for the stunning views, the unique challenge of running up mountains and a great atmosphere.